Our puppies are in good hands! Each applicant will be required to submit a brief description of the particular kennel plans in place. Assistance and support is available to help an applicant understand and develop a written plan for each kennel. Continuing education for all of the following plans may be available. An exercise program must be submitted. If state licensing requires it, a veterinarian must approve this plan. The plan may be required to include access or availability to an area for exercise that is in addition to the dog’s primary living space. A primary living space and exercise area as one unit together may be acceptable by a veterinarian. The veterinarian is not required to inspect or visit this plan prior to its approval. A kennels attending veterinarian is required to accept or decline this plan if necessary subsequent to a kennel visit. Primary living area; size, location, construction. Kennel Owner(s), ____________, have presented to me a proposed exercise plan for their dogs. The plan appears to be in order for the size, age and breed of dogs that are currently housed at the facility. Please see the attached plan that I have reviewed and approved. Download the Sample Exercise & Socialization Plan. The kennel facility must submit a written and approved biosecurity plan that addresses the methods used to prevent the intrusion of disease and the spread of diseases within the dog and puppy population. The prevention of brucellosis and other incubating adverse health concerns to enter a kennel have to be considered. Isolation of outside dog coming into the kennel facility … consider incubation period. 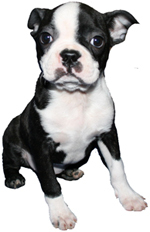 Isolation of ill or infirmed dogs/puppies … consider incubation period. Limitations of visitors, employees, owners within the kennel, i.e., persons entering a whelping area after being present in a housing area. 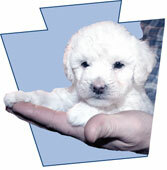 Addressing the highest levels of risk for disease - new dogs or puppies coming to the facility. Kennels receiving new dogs must have an isolation area. This includes dogs that may leave the facility and then return. Preventative biosecure care should be given while attending to these dogs within the facility. The care giver shall use appropriate disinfecting methods before and after entering an isolation area. All preventive health screening shall be complete before reentering a dog into the general facility. Dogs within the facility that become ill with an infectious disease shall be placed in an isolation area. Dogs with chronic adverse health conditions must be reviewed for removal from the facility depending on the nature of the seriousness of the chronic condition. Kennel Visitors – all of the following shall include the appropriate measure of sanitizing of hands, foot wear, body clothing, tools, equipment and vehicle. Low Risk Visitors - have no contact with other dogs. Do not rely on simple means of disinfecting a visitor with sprays, lotions or foot baths. These methods have variables that may lessen their effectiveness. Caution to the areas that you allow these visitors to have access. Request hand sanitizing when visitors depart. Medium Risk Visitors – People who visit other kennels but, have little or no contact with the dogs. Utility workers, salesmen, delivery people may fall into this category. The same precautions shall apply to this group with added caution. High Risk Visitors – include other kennel owners, inspectors, humane officers, veterinarians and any visitor that has been in direct contact with any other dog, kennel, pet store, or farm facility. Included in this group is ANY individual that has had any contact with an animal that is sick or incubating an illness that can be transmitted; mild or serious in nature, i.e., kennel-cough, Parvo virus. The veterinarian health plan shall include parasite control and a vaccination program. Maintain a rodent, pest or wildlife control program. This plan shall include a statement from the owner that visual inspection of the facility confirming the absence of such is a routine process. Additionally, in the event of evidence of rodent, pest or wildlife intrusion into the facility, there must be a plan in place to remove, correct and prevent further adverse conditions. This may be achieved by offering the resources available to attain the proper needs to remedy this condition. Every owner shall understand the methods for sanitizing. Wash with water at least 180º and detergent. Wash with detergent and/or disinfectant to remove all debris, providing sanitization, followed by a clean water rinse. Disinfecting – to destroy or prevent the growth of disease carrying microorganisms – make germ free. Deodorizing – to freshen – refresh – make fragrant. Owners must acquire a minimum of four continuing education (CE) credits per calendar year. An event is considered to be one CE credit regardless of the number of hours per event per day. These events may be a trade show, seminar, teleconference or other approved CE. Only a first year applicant may defer this requirement until their renewal for the following year. All CE’s must be achieved the year prior to any renewal of an application. This requirement must be met in full for any lapse in membership subsequent to the first year’s membership. Completion for the program requires that every kennel establish a program for re-homing their dogs. More About Re-Homing. A primary goal of this program is to be prepared in the event of an actual emergency. Kennel destruction-This may be due to accident or act of nature. Fire-Flood-or other act of nature regarding weather conditions. The kennel shall have a plan in place for the physical movement, mobile transportation and housing of dogs in the event of an emergency situation, depending on the needs. Probable situations may be as simple as possessing a lead for each dog to be led to temporary alternative housing. More serious extended temporary situations may involve mobile transporting of dogs to be housed in another facility.